Brands that do the groundwork, develop a solid strategy and adopt a highly collaborative approach will benefit most from the kind of partnerships that a well-placed specialist agency can help them secure. What does the term "partnerships" mean to you? Is it the union between you and your spouse, Peppa Pig and Heinz Spaghetti hoops or the latest EE sponsorship of Wembley Stadium? One of the key challenges we face as an industry is the need to categorise marketing partnerships based on our personal experiences, rather than seeing it as one of the few disciplines that can manifest itself in many different forms. Partnerships enable brands to develop product extensions in an authentic way, reach new audiences, generate media coverage, build credibility and importantly, generate content. Take Samsung, for example, which recently partnered with Sky to create its own TV series, Launching People – taking product placement a step further with real, authentic content creation. Above all, partnerships allow brands to extend into previously unexplored places. Who’d have thought an energy drink would literally launch itself into space? But with the right partner in place, anything is possible. The world of marketing can be a confusing place these days, but luckily not everything has changed. A marketing campaign is just a way of talking to a desired audience using channels that appeal to them with creative designed to engage them. It’s common sense. We’re all consumers and a lot of what we do is rooted in appealing to human nature. As an industry, we’re often guilty of over-complicating this and that’s where partnerships come into play. A marketing partnership can include any type of activity where two or more entities come together to create something more powerful than its constituent parts. The key is not to put any constraints on the collaboration. Too often brands embark on a part­nership with sight of all the benefits they want, but are not willing or realistic about the level of equity required to make something truly collaborative. Equally, partnerships can be brought on board to aid the build of a campaign. For TV channel Dave, we wanted to offer viewers two-for-one tickets to stand-up comedy events around the country, but we wanted Dave to own this. Mediator approached We Got Tickets and negotiated a behind-the-scenes partnership that allowed us to create a digital plat­form enabling viewers to purchase tickets directly from the Dave website. The punter had no idea a partnership had taken place, they were just chuffed to get access to half-price tickets. The channel was able to offer viewers relevant added value while aligning its brand with grass-roots comedy. The key to building successful partnerships is ensuring you have a solid marketing strategy, built on customer insights and truths. Unlike other part­nership marketing agencies, we subscribe to TGI and use a unique piece of software called the Partnership Engine to help us truly understand the consumer and ensure we’re talking to the right brands in the first instance. One of the biggest mistakes brands make is to use a partnership as an afterthought. Those that have committed themselves to a strategic partnership see results. Take Very’s partnership with Channel 5’s Big Brother. Extending what was a traditional sponsorship package into a truly integ­rated partnership brought about a sales rise of more than 70%. The role agencies play in this landscape is crucial. Due to the nature of partnerships, the relationship between brand and agency needs to be highly collaborative. We work like an extension of our client’s marketing teams, needing sight of the much bigger picture to ensure we build partnerships that truly deliver and are maximised across the business. It’s also important to have an objective party when negotiating partnerships. Every brand has an agenda, naturally, and it’s for the agency to develop a campaign that is mutually beneficial. It’s not as easy as it seems and takes time. If I had £1 for every time a client came to us having attempted partnerships in-house, but simply didn’t have the resources required to make it work, I wouldn’t be writing this, I’d be on a Caribbean Island. It’s time people started to recognise the true power of partnerships and invest in them appropriately. At Mediator we love the win-win nature of partnerships and use them as a way of enhancing what we do for our clients and their customers. We don’t have to use partnerships, and for some campaigns we don’t, but in the long run there are often more benefits to using them than not. As with anything, if you’re going to do it half-heartedly, don’t bother. However, if you really commit yourself, the rewards are guaranteed. Don’t just take our word for it. We’ve commissioned a White Paper on Partnership Marketing that demonstrates its value, best practice and how it should be integrated across your wider marketing strategy. It will be available to download at www.mediator.co.uk from 16 May. As most speciality cheese is bought over Christmas, Castello asked us to create more "Castello moments" to drive sales of the creamy blue outside this period. Our customers were cultured, home entertainers who enjoyed the finer things in life and were not particularly promotionally savvy – a traditional promotion wasn’t going to cut it. And so the Castello Book Club, in partnership with Penguin, was born. This club, hosted on Facebook, offered rele­vant content for our audience with every­thing they needed to run their own Book Circles. 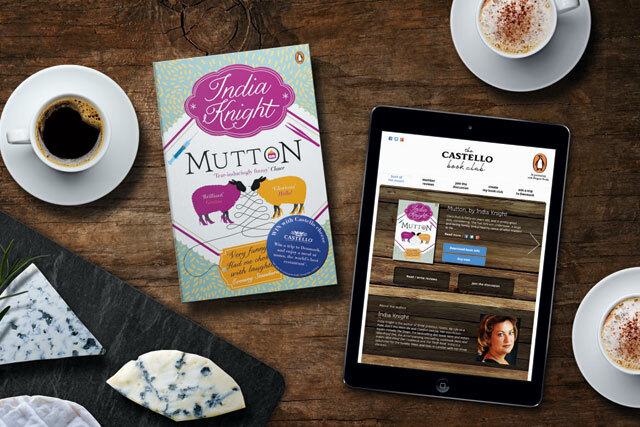 It gave Castello permission to engage with book- and cheese-lovers, and worked, with a 136% rise in Castello Facebook "likes" in the first few weeks. 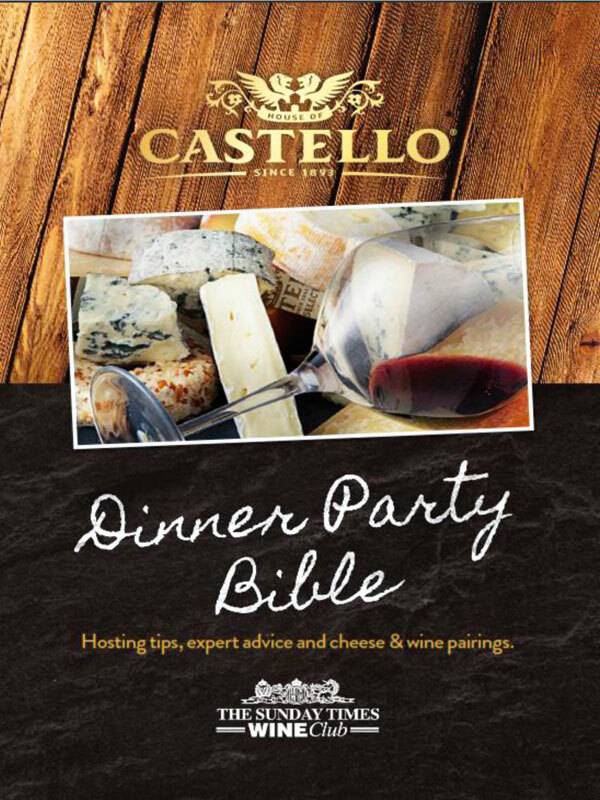 We then created Castello’s Dinner Party Bible, offering expert advice and cheese and wine pairings, distributed to the right people via a partnership with The Sunday Times Wine Club. The activity was supported through a media partnership with The Times. Leaving no stone unturned, we also ran a promotion with Rosemount wine including joint sampling, in-store and at prestigious food events, and an on-bottle promotion offering money off Castello. The partnerships drove more than £150,000-worth of media value; brand awareness increased 5% year on year with a 17% increase in frequency of purchase year on year to 2.9, pushing Castello up to second in the category (Kantar 52 weeks to 5 January 2014). See, at Mediator we don’t just talk the talk, we walk it too.